You didn't think I'd pass this one up, did you, Doug? Thiss so evocative - I often feel presence of the past in old buildings - and even more strongly along the Gettysburg battlefields - this is an excellent interpretation. NIce effect and nice lighting. 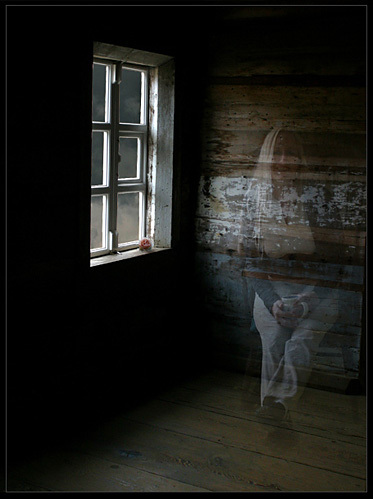 I really like this photo, the mood, the window, the lighting, weathered wood and "ghost" of a person.